Made with no dairy or refined sugar, these banana chai muffins are a healthy choice for breakfast or an afternoon snack. I am lucky enough not to have many dietary restrictions in my life -- other than those that are self-imposed, of course (e.g., I gave up all fast food more than six years ago). But I appreciate that not all my readers are as lucky, so I try, whenever I can, to feature recipes that address some of your dietary concerns. One of the concerns that comes up all the time is dairy -- and how to eat well without it, if you need to. Whether it's because of lactose intolerance or concern about dietary cholesterol and intake of fats, dairy isn't for everyone (although it would break my heart into pieces not to be able to eat my beloved cheese). Therefore, I'm happy to help by creating delicious dairy-free recipes for my readers, especially during February, which is American Heart Month. But that can prove challenging when it comes to baked goods. Why? One word: Butter. Which begs one question: Is there really a butter substitute out ther that's good for baking? I say yes! 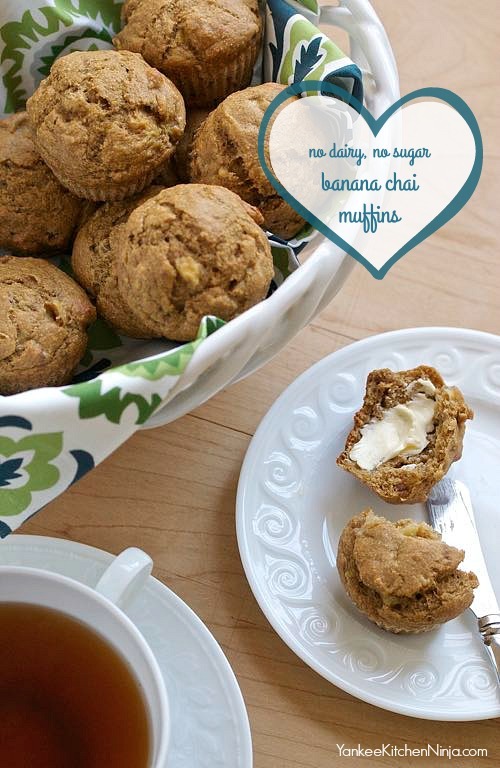 To help you figure out the best way to bake dairy-free, I created this recipe for healthy banana chai muffins and made it multiple times, not with butter but with two different spreads instead -- SmartBalance Buttery Spread and I Can't Believe It's Not Butter! -- to see which one I liked best. 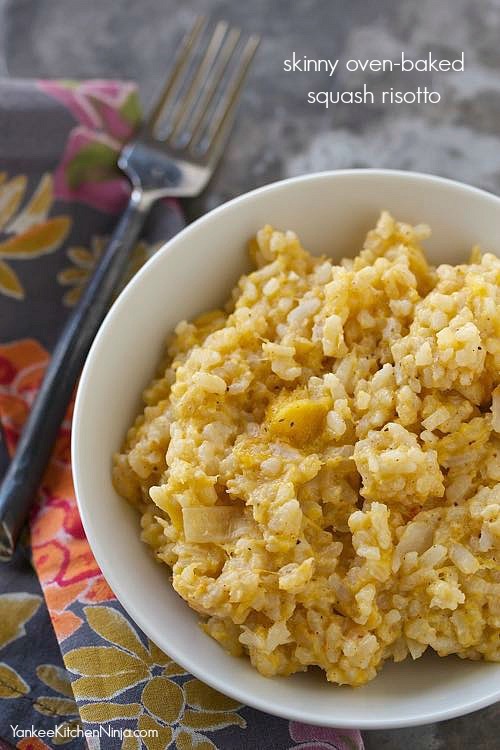 Skinny oven-baked squash risotto is a satisfying meatless weeknight meal or an easy but impressive side dish -- without all the stirring. I never make risotto. Seriously: I made it once or twice and, with all the freakin' stirring and attention it required, I quickly removed it from my repertoire. No time for that. Until now! I'm bringing risotto back because I found it can be easily baked in the oven, with very little stirring and even less attention. Made with acorn squash, this skinny oven-baked squash risotto is satisfying and filling enough to stand alone as a meatless weeknight dinner entree, accompanied by a green salad. Because we are trying to eat more meatless meals around Casa de Ninj. But it also makes an easy but impressive side for a Sunday dinner. And, of course, you could easily substitute butternut squash for the acorn, if butternut's more your jam. Use your slow cooker to make easy, skinny peanut butter cup blondies, a healthier choice for dessert, snacktime or school lunchboxes. This is getting sort of crazy, isn't it? 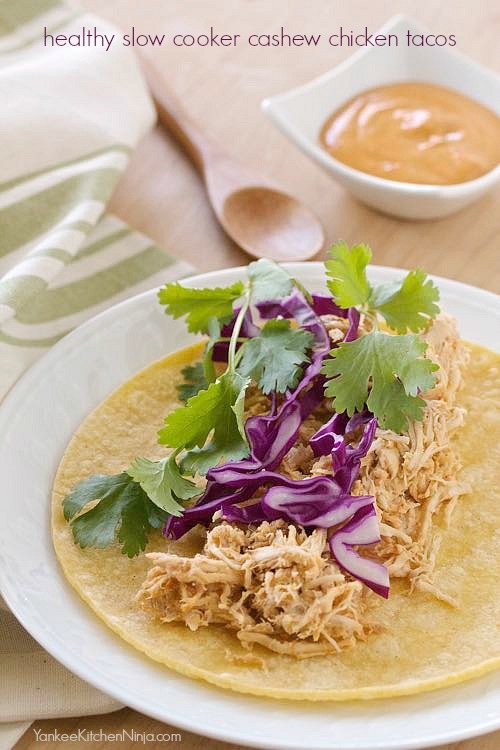 Another slow cooker recipe: Maybe I should have made 2016 the Year of the Crockpot. But come on: I'm giving you a dessert recipe. A skinny dessert recipe. 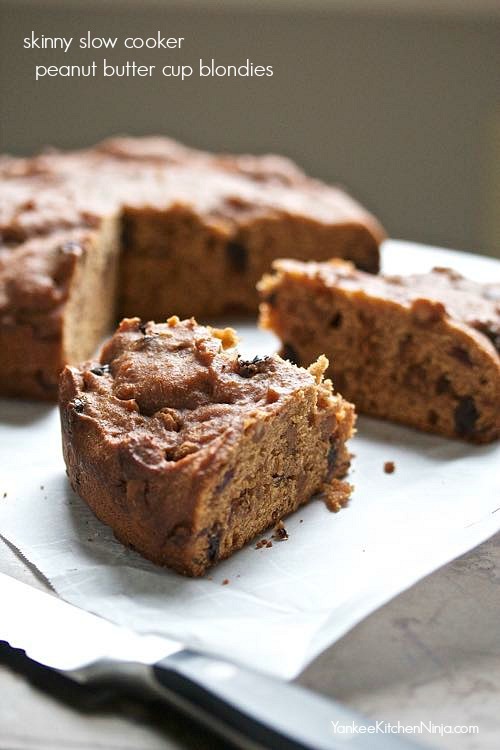 A skinny dessert recipe made in the slow cooker. You can't blame me for being pretty excited about this one. Regular readers are by now aware of my penchant for using my slow cooker as a water bath for making yummy things like overnight oatmeal and bread pudding. This skinny peanut butter cup blondie recipe is similar in that it uses the slow cooker in a non-traditional way -- like an oven; all you need is a springform pan that fits inside your cooker.